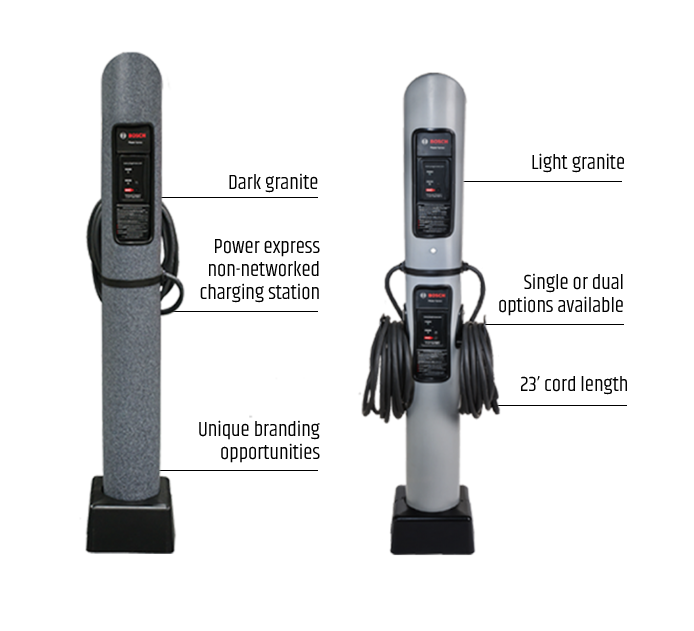 The Ideal Power Xpress Electric Vehicle Charging Station is an ideal solution for any commercial or public EV charging area. 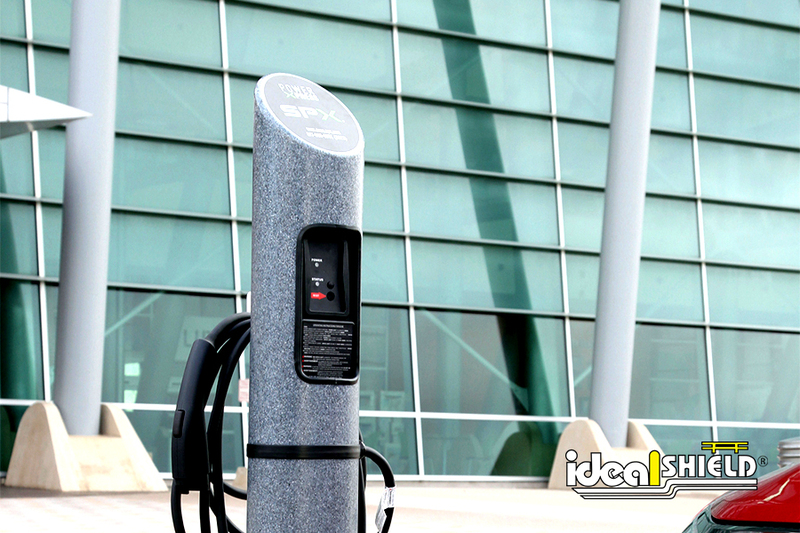 Ideal’s pull up, plug-in and charge system incorporates strength, durability and EV charge all in one unit. 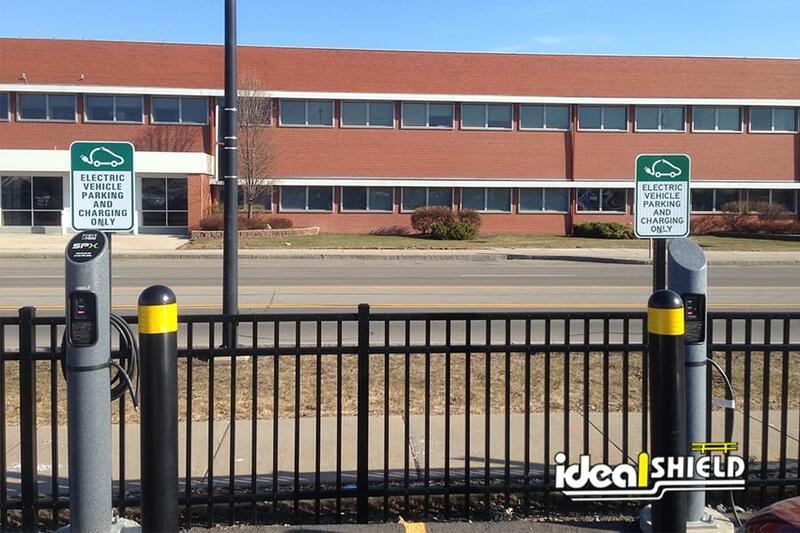 Our reliable and robust design is made out of galvanized steel to provide strength and resistance to harsh weather. 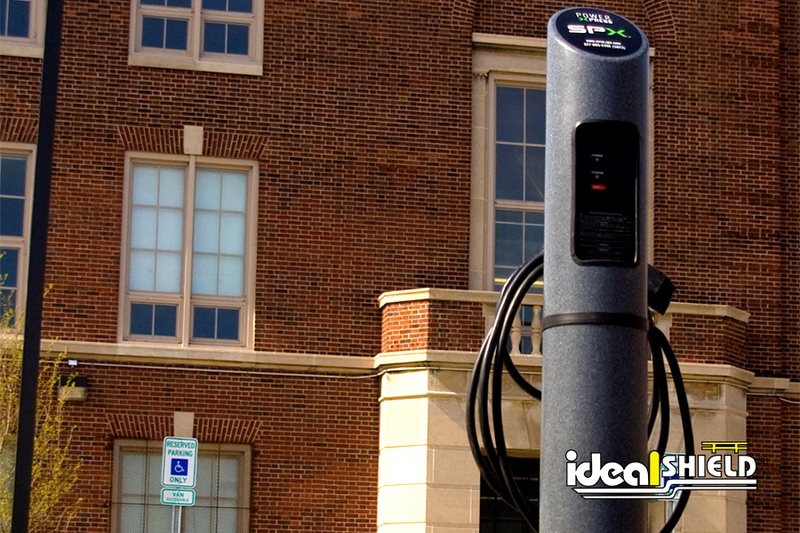 The charging station has a NEMA 4X enclosure, allowing for outdoor installation and will safely charge in the rain, sleet, snow, hail, and heat. 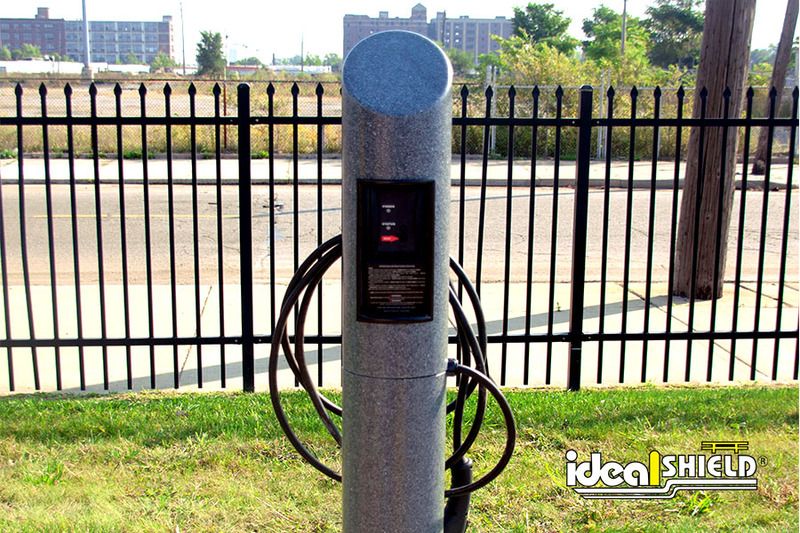 The EV Charging Station is a fabricated steel pipe bollard sleeved with a maintenance-free Ideal Shield Decorative Bollard Cover that is available in any color, enhancing the aesthetics of your business, parking lot, corporate office or home exterior. 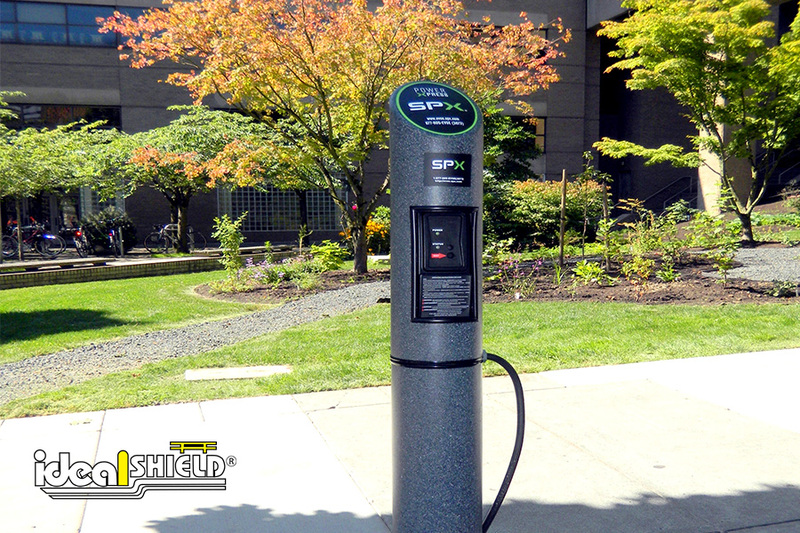 The charging unit can also be customized with graphics to promote corporate branding. 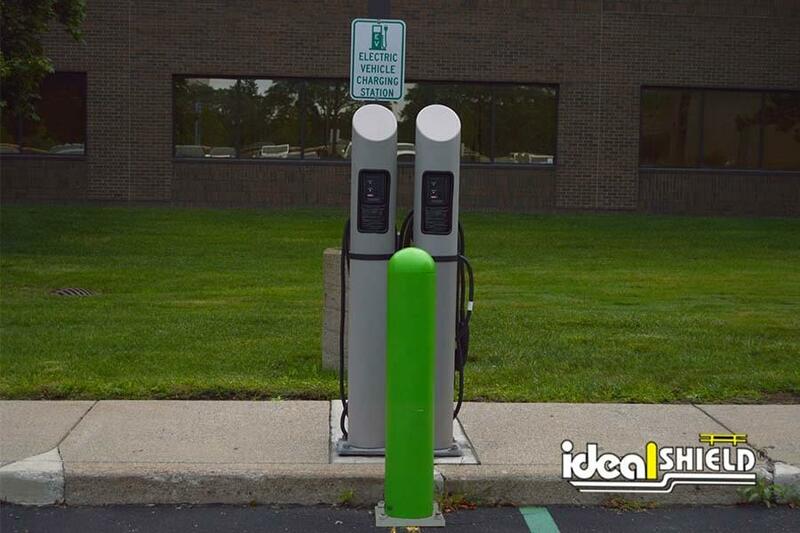 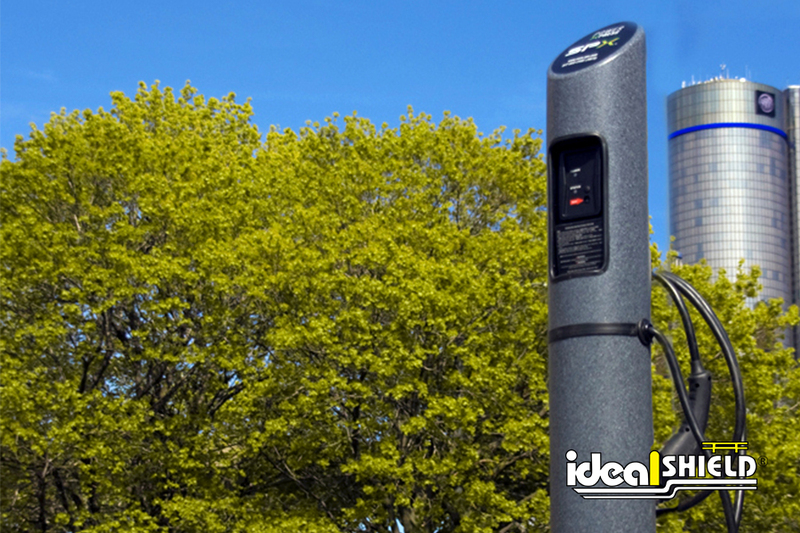 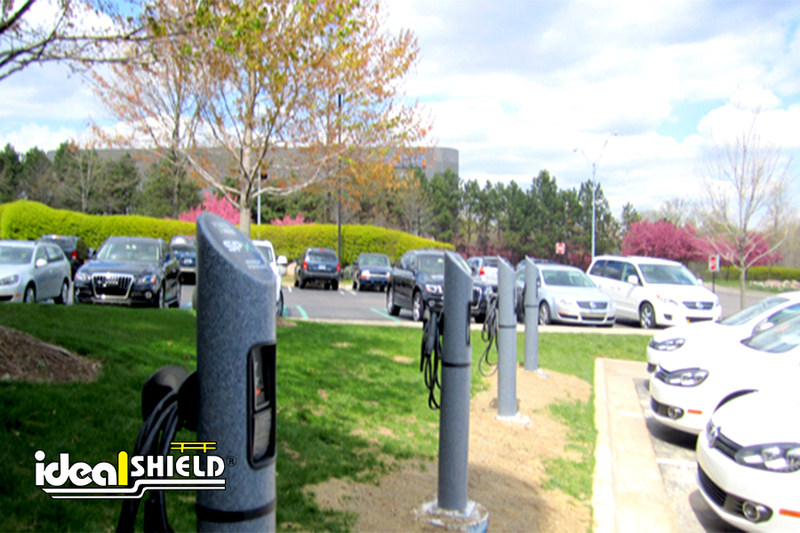 Ideal’s low-maintenance and eco-friendly design sets the definitive standard for affordable Electric Vehicle Charging Stations.